Factories were once dirty places – not any more. 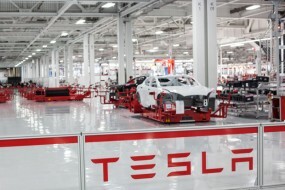 They are typically painted white, have bright shiny floors and look more like a showroom that a factory floor. A clean work area helps to support staff high standards, morale and expectation of care and pride when working in the warehouse. If you open a box, you dispose of the wrapping and carton in the correct disposal areas – not in the bin or on the floor. A clean warehouse shows you care about the valuable inventory stored inside the warehouse space. A clean warehouse is much safer place to work. Remove the debris and you remove many of the hazards that can cause injury or damage equipment. Check out this article from Health and Safety Ontario on Workplace Safety and Injury Prevention. Did you bring on a new supplier that complements existing items in your inventory? 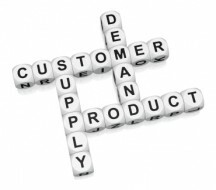 Are you doing a trade show where a select group of products will get the attention of customers? Look ahead and create space to accommodate a flux in the regular picking routine. This might be a short lived change so regular review of product locations and pick frequency is needed. Set-up a zone in the warehouse close to your shipping area where high-lighted SKUs can be collected quickly and grouped for these show and promotional sales orders. The warehouse needs to coordinate with sales and marketing and understand what inventory is arriving, so they can plan a response rather than react to the changes in demand. Yes, we all dread the yearly inventory count – but why wait until then to find out you are short on a top selling items. Your system says you have 10,000 on hand – but no one can find these because is was incorrectly recorded when received. The sooner you discover errors the better. Cycle counts can help discover misplaced products, shrinkage, theft and errors in picking due to unit of measure confusion. For example: Do I ship a box of 12, an inner of 6 or an each of one? Count active SKUs to supply accurate information to your purchasers. Count locations to find lost or misplaced products. 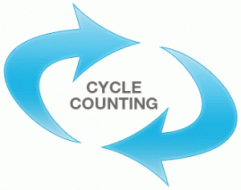 Cycle counts are valuable to help train staff on inventory storage, different sales unit of measure and proper bin location. Even a small warehouse can benefit from regular product reassignment based on frequency of order. Run reports on turn rate for your inventory and try and move stock with higher turns closer to the shipping area. Product size, shape and weight will also play a role in where these items can be stored. The goal is to reduce travel time in the warehouse and pick the most frequent items in your inventory closest to the staging and packing areas. This will save staff time running around the warehouse and allow more orders to be processed in less time. This follows with proper warehouse bin assignment from your turns analysis. Assign a picking bin for your SKUs to support a month or two of orders and put the remaining inventory far and high. 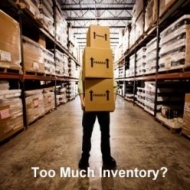 Segment your overstock, bulk and excess inventory away for your work areas as much as possible. Label products clearly for staff to quickly pick items during a picking run. If you have some product lines that come in from your supplier that are poorly labeled – re-label the items during the put-a-way process. How many hours do warehouse staff waist trying to figure out if the product code is LL101101 or LL101701. 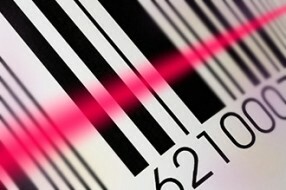 Product labels should be clean, large and easy to understand. Use dashes and other separators to define logic to the product code. Some software allow pick by bin, so make clean and clear bin labels for staff . For example, a bin label could look like this AA-11-01 where AA is the aisle, 11 is the column down that aisle and 01 is the stack height off the floor. Add dashes to help make the code more readable. You can also avoid the dreaded o’s and i’s in your codes, since we never can tell if that is a one or the letter L or the capital letter i. 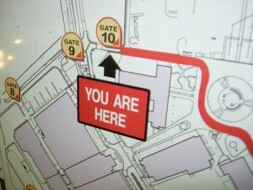 Warehouse zones are also important. These should be clearly marked with bright signs and may even have painted lines on the floor. Label Receiving, Shipping, Assembly, Staging, Packing and other sections and zones in the warehouse to help all staff understand the locations, the work flow and the tasks performed in each area. 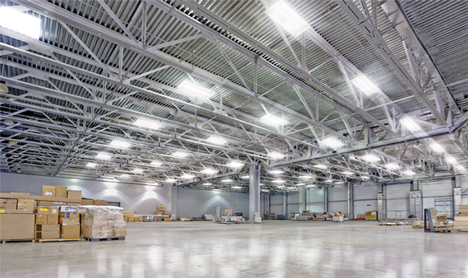 There have been many advancements in warehouse lighting over the past few years. New LED lights are less expensive to operate that old style High Pressure Sodium or Metal Halide lamps. Some larger warehouses now operate with sensors so that lights activate only with movement in the zone. The warehouse should have sufficient light levels to allow staff to clearly see products and item codes they are being asked to pick. Don’t ask your staff to walk around with a flashlight so they can read SKUs in the dark corners of your warehouse or where lighting is misplaced and fails to illuminate the aisle space. Sloppy procedures and a disorganized warehouse shows what you think about your customers, your employees and the work they do in your business. Spend time in the warehouse and support staff in making changes that improve warehouse performance and warehouse efficiency.